Here's a list of popular community and regional farmers' markets to fill every weekend. If you think Sydney has many community markets, you should check out the market scene in Melbourne. As the demand for more fresh produce and farm direct products continue to grow, more community and regional markets are popping out around Melbourne and Victoria. There are more markets opening in suburbs like Wynham and in the Midlands. If you're looking for more fresh food choices and places to visit with the family, here is another list of popular community and regional farmers' markets that will fill up every weekend. 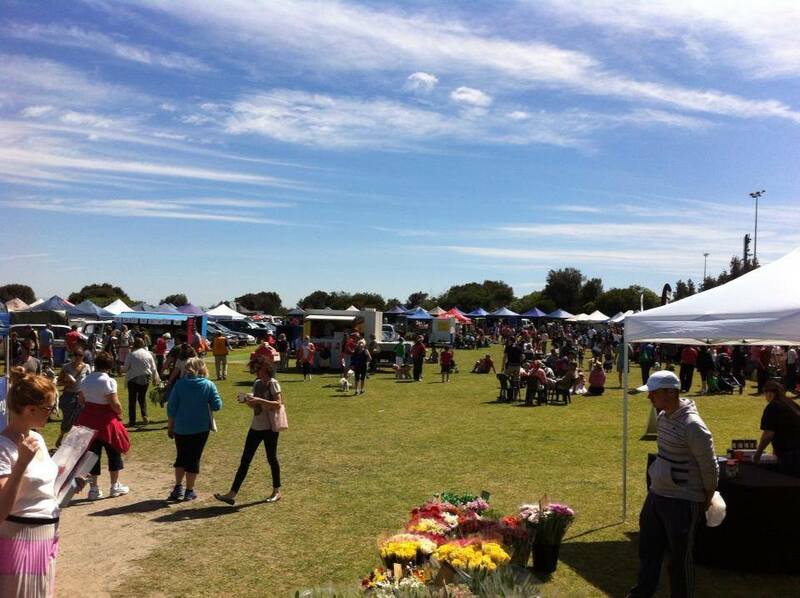 Run by Frankston Rotary Club, the Seaford Farmers Market features a wide variety of produce direct from farmers and other food producers. There are over 30 stalls selling fresh and smoked meats and fish, fruit and vegetables, breads, pastas, olive produce, cakes and desserts, jams and conserves, pickles, soaps, dog treats and many more. 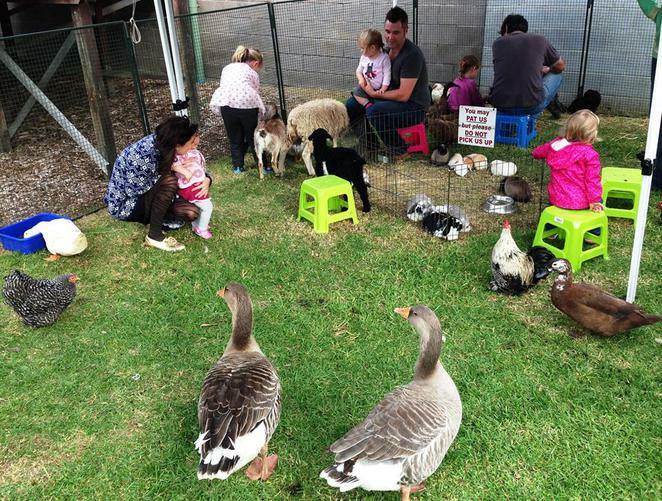 Held on the 3rd Sunday of each month from 8am to 1pm, kids can enjoy the animal petting farm and jumping castle while parents sip on coffee and morning tea. Free raffles are held occasionally with bags full of fresh produce kindly donated by the stallholders for winners to take home. 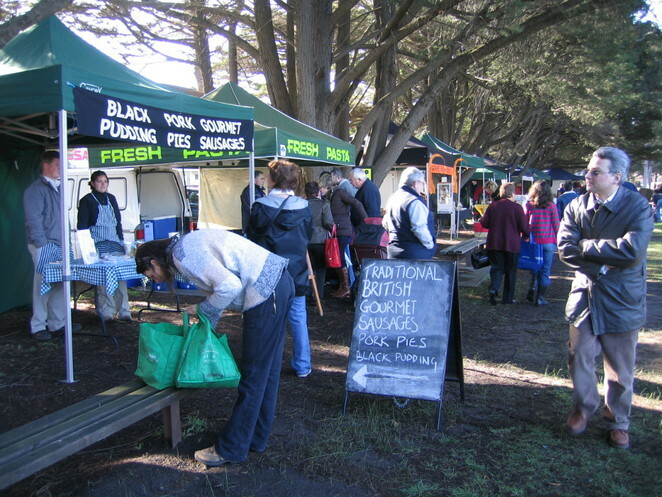 The market is located in the Broughton Street Reserve off Station Street in Seaford. Your $2 entry donation goes to support community projects. Croydon Main St is a great place to shop in Melbourne with 180 specialty stores and ample free park along a tree-lined street. 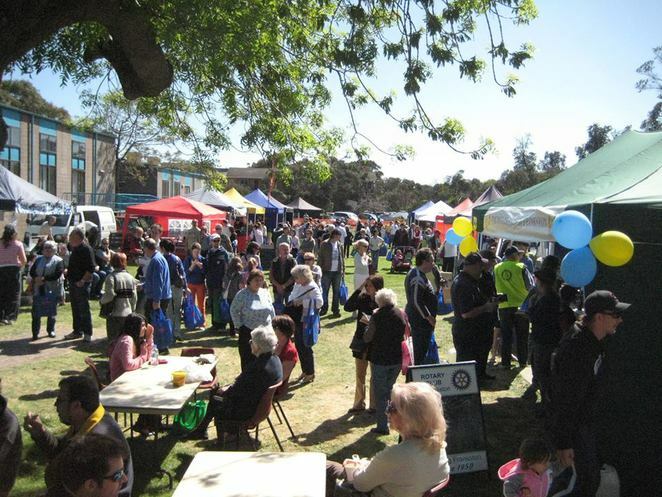 Located under the grand old pine trees in Croydon Park off the main street is a friendly farmers market where you can enjoy a morning of produce shopping. Open on the 2nd Saturday of each month from 8am to 1pm, Croydon Farmers Market is the place to buy free range eggs, organic vegetables and herbs, freshly baked bread, restaurant quality meat and chicken, gourmet sausages and terrines, pies and sweet tarts, and many more. 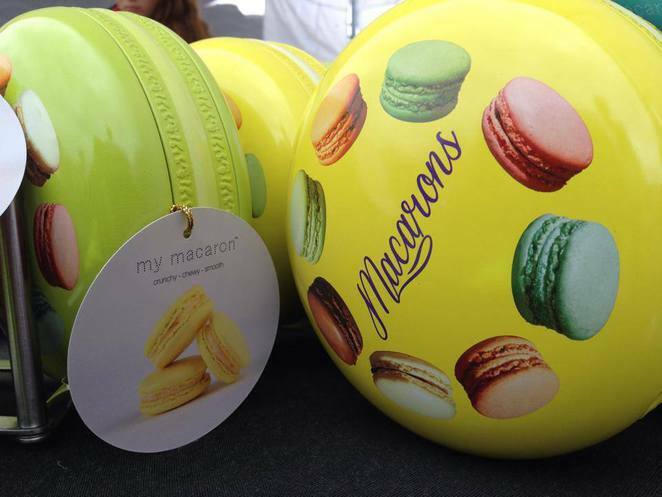 There are free balloons for kids and even a range of home-baked cookies for the pet pooch. Check out the nearby retail shops and enjoy a cafe lunch along Croydon's main street after a morning of shopping. The Hume Murray Farmers Market is all about offering fresh produce and prepared foods grown and made on its region's doorstep and encouraging customers to interact with producers. Buying direct from the producers means customers can interact with the growers and understand more of what they are buying and when what produce is at its seasonal best. The Market is also eco-friendly and encourages visitors to bring their own bag. The stalls are operated by friendly producers who grow a diverse range of produce. You can get fresh fruits and vegetables like apples, strawberries, cherries, peaches, nectarines, potatoes, pumpkins, herbs, onions, Asian greens, hydroponic tomatoes and many more. There are also free range eggs, chocolates, nougat, honey, wine, jams, relishes, antipasto jars and ice-cream. 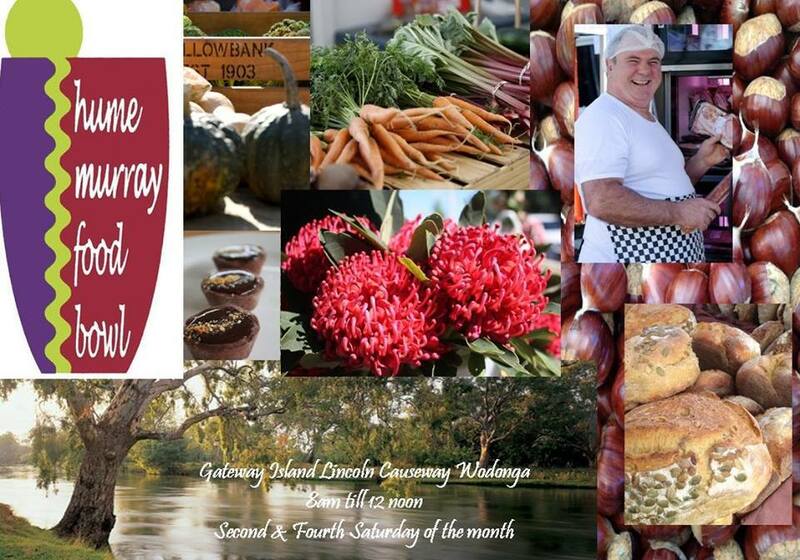 The Hume Murray Farmers Market operates every second Saturday from 8am to 12pm at Gateway Village on Lincoln Causeway in Wodonga. Just remember to arrive early as some of the produce sell out fast and don't forget to try the Market's famous local bacon & egg rolls with a cup of coffee before you leave. 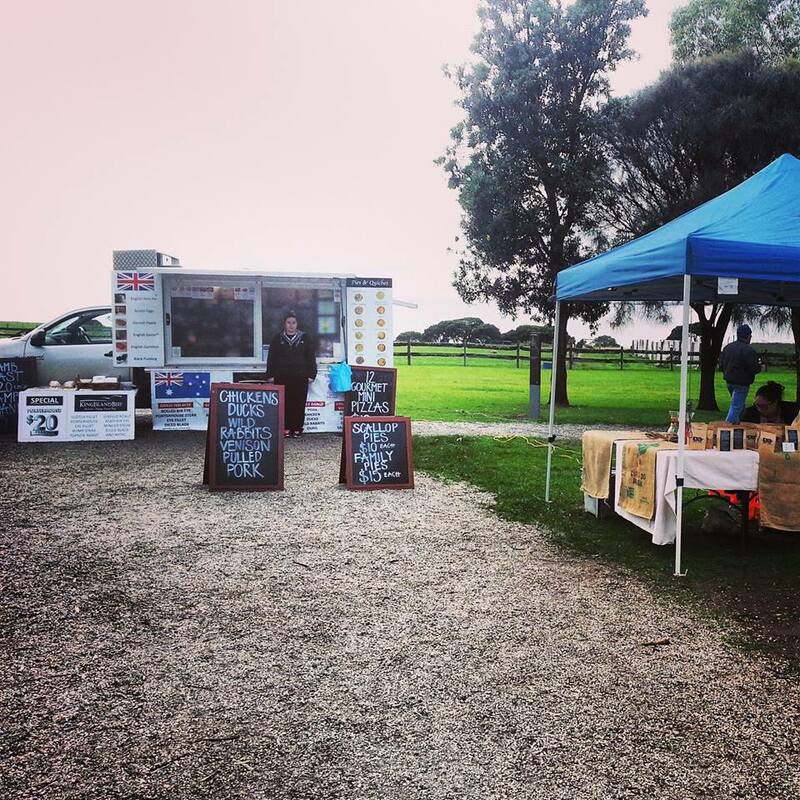 A short clifftop stroll will take you to Bayside Farmers Market located at the Trey Bit Reserve in Sandringham. It is a community project organised by Rotary Club of Hampton, Rotary Club of Sandringham, Regional Farmers Markets and supported by Bayside Council. You enjoy a breakfast of organic eggs and bacon and gourmet relish from the Sandringham Rotary Club using before browsing some 60 stalls. While the variety of stall change from time to time, you can purchase a whole range of fresh and gourmet foods including seasonal fruits and vegetables, meats, sauces and dips, homemade pies, cheese, jams, bread, honey, wine, beer, fresh herbs and nursery seedlings. There are also knife sharpening services and a children petting zoo. The Market operated on the 3rd Saturday of each month from 8am to 1pm. 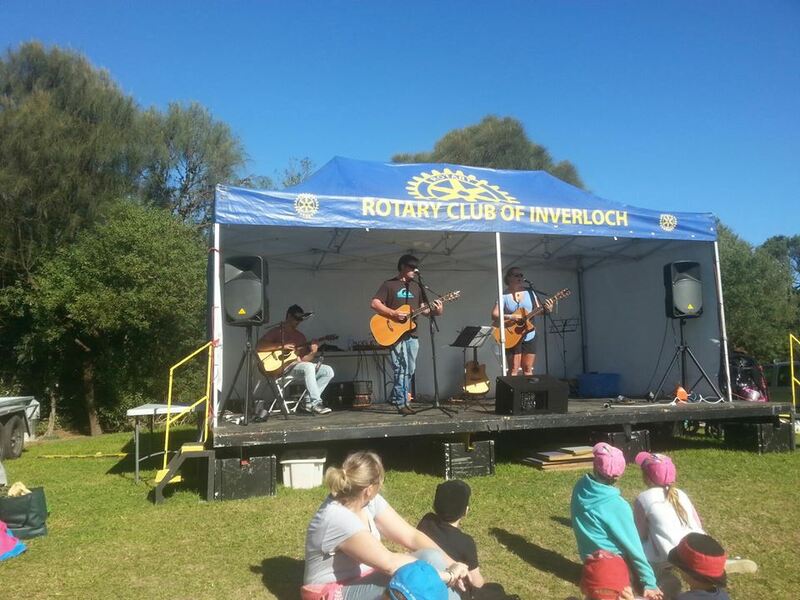 A $2 entry donation assists local Rotary community projects. Connected to Phillip Island by a small overpass is the tiny Churchill Island, the site of Victoria's first European settlement and rich with agricultural history. A historic homestead and a working heritage farm dating from 1872 is the picturesque site of the Churchill Island Farmers Market. 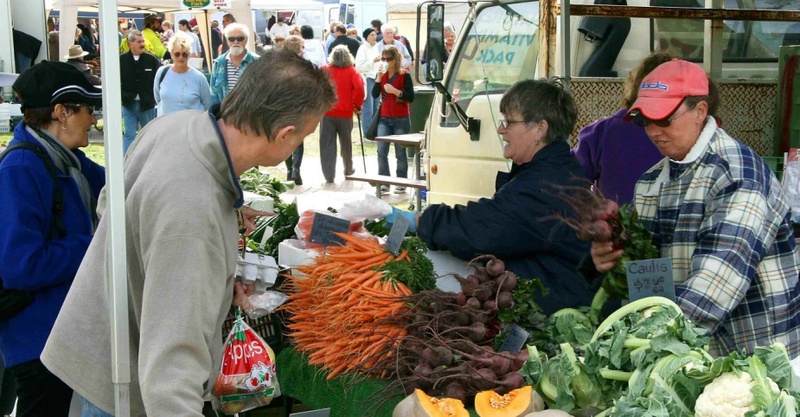 Running on the 4th Saturday of each month, this regional farmers market features over 40 stalls specialising in Gippsland grown and made produce. You can enjoy shopping and learning more about the producers between 8am to 1pm, have lunch at the nearby cafe@churchill, and spend the rest of the afternoon on a nature walk around the island. Supported by the Inverloch & District Community Bank and managed by the Lions Club of Inverloch, the Inverloch Community Farmers Market presents fresh produce and products from the farms and homes of Southern Gippsland. As an accredited farmers' market, it supports local farmers, producers and businesses, and offers consumers direct access to a 'paddock to plate' experience. On the last Sunday of each month, you can catch up with the region's producers and artisan food makers who gather at 'The Glade', located on The Esplanade in Inverloch from 8am to 1pm. No less than 75% of the stallholders are local growers and/or producers. The fresh food market atmosphere is enhanced by local artists and community groups showcasing their talents. It is truly a community market as all monies earned from operating the Market is returned to support the community. 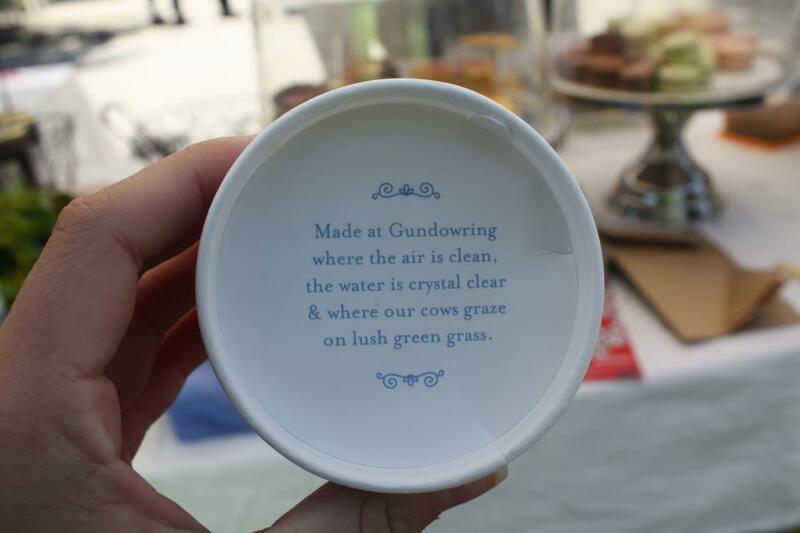 The Geelong Waterfront Makers and Growers Market is the result of merger between the Central Geelong Farmers Market and the Steampacket Arts & Craft Market. Run by Geelong Central Rotary Club and sponsored by Central Geelong Marketing, the bigger market feature both local produce, gourmet treats and art and hand crafts from regional makers and growers, local live music and hot food. The Market is held on the 1st Sunday of each month between 9 am to 2pm (Autumn/Winter) and 9am to 3pm (Spring/Summer) on the lawns of Steampacket Gardens. Funds raise from the Market go to support the local communities. 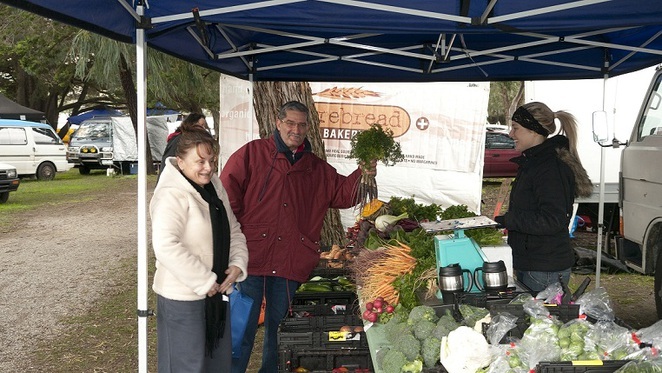 The Rotary Club of Templestowe has been offering a local and convenient source of fresh and good quality produce for residents of the City of Manningham and visitors for 7 years. 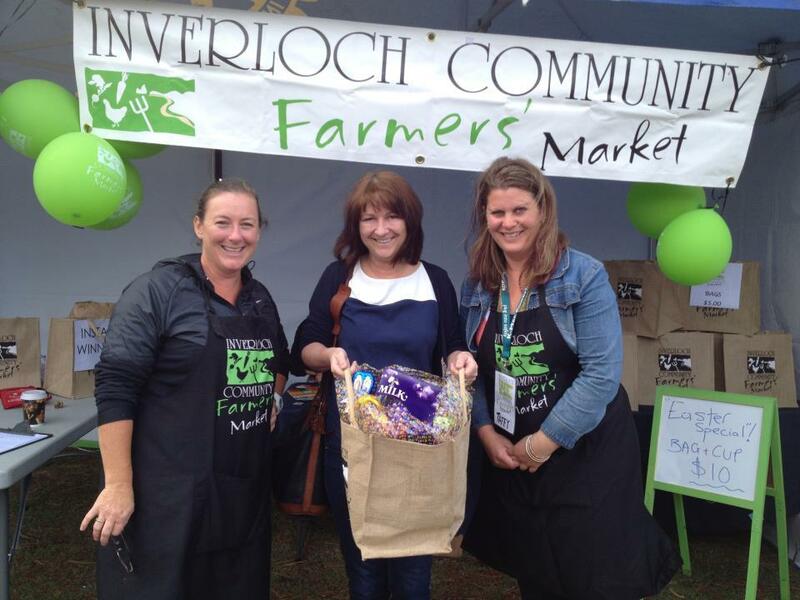 With continued support from the Manningham City Council and The Manningham Club, its Manningham Farmers Produce Market has expanded its scope to "Grow, Make & Bake" with the inclusion of boutique craft sellers in 2014. 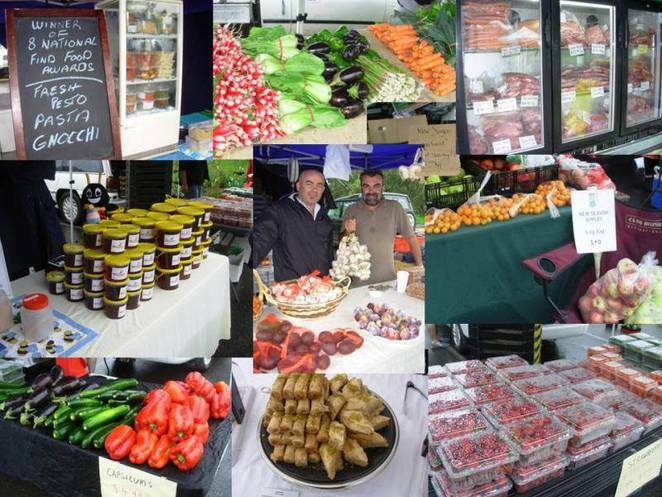 Operating from 8am to 1pm on the 4th Sunday of each month (exceptions in January and December), you can browse over 30 stalls that offer vegetables, seasonal fruits, meat, bread, eggs, olive oil, olives, cheeses, homemade cakes, relishes, salsas and many more. Tastings are often available from the growers and producers. Regular patrons and stallholders also means that some favourite produce and products may sell out early. The nearby Manningham Club offers breakfast for early visitors. Check out the BBQ stand and enjoy brunch made from stall holders' produce after shopping. Monies received at this stall support local community programmes. Your $2 entry donation helps the Club to fund their local and international community projects. The Market's location on the grounds of The Manningham Club at 1 Thompsons Road in Bulleen offers ample parking. LaTrobe University Sunday Farmers Markets is also a great market and in a beautiful bushland setting (within Uni grounds), with lots and lots of car-parking, dog friendly, and few great coffee spots too!